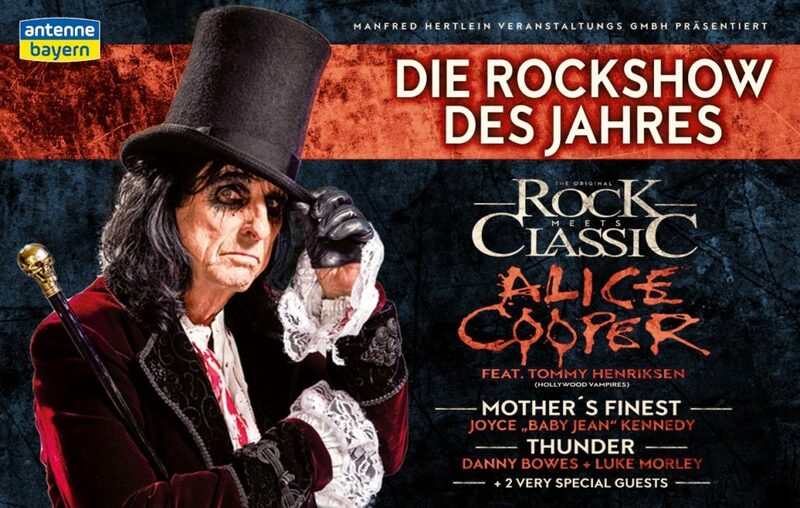 Alice Cooper guitarist Nita Strauss has announced a series of US solo shows between April and June including both headline and special guest shows. The dates are as follows, with ticket details on NitaStrauss.com. Superfan Chris Penn, the man behind ‘Live From The Astroturf’ was on Fox4Ward earlier today talking about the forthcoming movie. You can watch here. 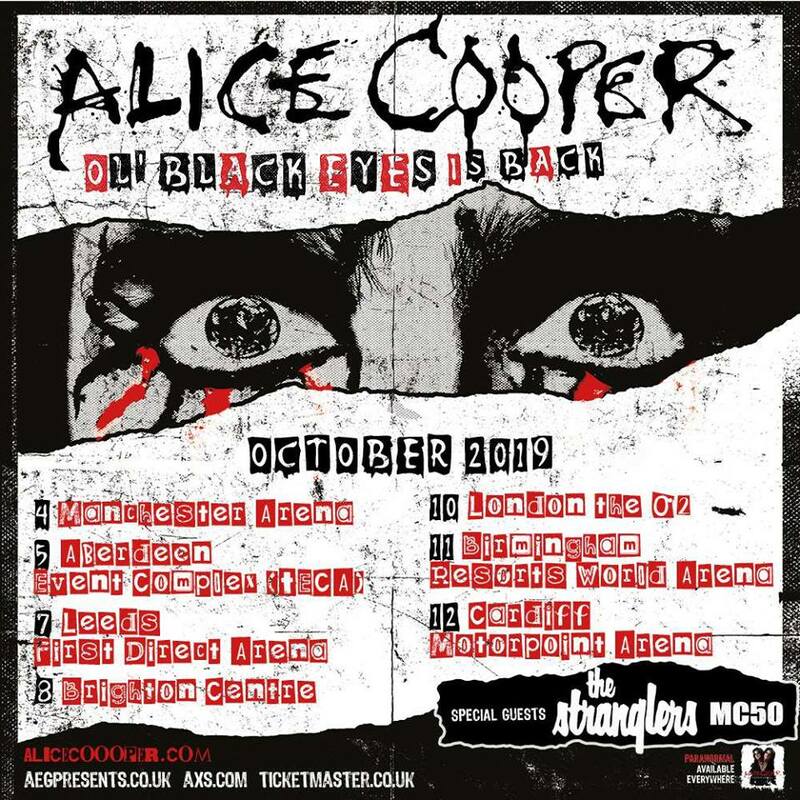 After last weeks UK tour announcement Alice has made a couple of UK radio appearances and there’s been a few interviews as well. First up was an appearance on BBC Radio 2 where he was interviewed by pop star Will Young (and obviously had no idea who he was!). You can listen again to this one now here. Alice shows up at around 1 hour 20 mins. The NME has a new interview with Alice, during which he confirms both Jeff Beck and Jimmy Page have recorded parts for the forthcoming Hollywood Vampire’s album, which he revealed on NWAC will be called ‘Rise’ and will feature “all new material”. The following day NME ran another article here, and then another one a couple of days later! Kerrang! have an interview with Alice as well, while The Mirror also ran the tour announcement and added their usual expert research – “First album ‘Welcome to My Nightmare’ was released in 1969”. Hmm..
Ryan Roxie’s UK shows at the weekend were excellent. Playing songs from his solo projects DPM and Roxie 77, as well as his latest album ‘Imagine Your Reality’ and a couple of Cooper classics, Roxie and his band (Robby Miller, Sean Tobin and Rob Lane) played two storming sets in Bedford and Birmingham you really shouldn’t have missed (if you did!). While here Roxie posted a series mini-films showing real and not-so-real life on the road which you can see here. Ryan will be playing a special show in Athens, Greece on March 16th at ‘Crow Live Stage‘. For this show Ryan will be backed by Greek Alice Cooper tribute band ‘Snakebite‘. Nita Strauss will make a guest appearance on the debut album from ‘Over It All’, a project featuring members of Lamb Of God, Animals as Leaders and Sworn Enemy. She’s also interviewed on Wrestling Inc, and Music Radar. Nita will be special guest for Rob Zombie guitarist John 5 on on April 14th at ‘Brick By Brick’ in San Diego, CA. Reportedly Alice will be on BBC Radio 2 this evening around 7pm to talk about the tour. The Hollywood Vampires have announced a show at the Fantasy Springs Resort Casino Events Center in Indio, CA on May 18th. Tickets go on sale Friday at 10AM PT. It’s unlikely this is a one off show so watch for more dates soon. Don`t forget Ryan is in the UK next week for two solo shows! Live From The Astroturf – The Movie! Above you can see the first trailer for ‘Alice Cooper – Live From The Astroturf’ – the forthcoming documentary telling the story of the now legendary 2015 Alice Cooper band reunion in a small record shop in Texas. Filmed on eight cameras and with music mixed by Bob Ezrin the film also features interviews with the band, organiser Chris Penn and others. It will premiere at the Phoenix Film Festival in Arizona between April 4th and 14th before touring the film festival circuit. Information on when it will be released commercially should follow in the coming months.